When you think of delight, India is not the first destination which comes up to the mind. With a great mixed bag in weather, Culture, luxury travel has taken off in a big way. However it is the local companies which immerse in hospitality which lends it the character to rate it amongst the best. Each of the hotels are comparable in quality and service to the best in the world. 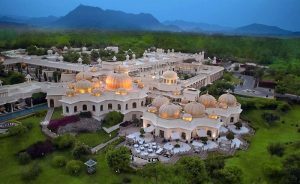 The Udaivillas, Udaipur is Located on the shore of Lake Pichola, The Oberoi, Udaivilas is situated on the 200 year old hunting grounds of the Maharana of Mewar. It is Spread over a luxurious 50 acres area, which includes a twenty-acres wildlife sanctuary there you can explore different species of animals especially deer and wild boar, The Oberoi Udaivilas affords breathtaking views across the verdant gardens and sparkling Lake Pichola. Coco Shambhala, Goa The party capital of India, Goa has something for everyone. Frequented by people of all ages and ethnicity, this coastal city with its fabulous beaches does not lack for want of luxury hotels. 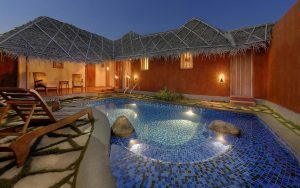 Amongst those, stands out a gated resort of just 4 villas, Coco Shambhala. With a 24 hour concierge, dedicated car and driver as well as a master chef who creates magic with his fingers and only al carte menu is served this is a paradise home for those who seek its refuge. If one wish to escape the verdant surroundings of this resort, It’s just a ten minutes walk to a beach, and wildlife sanctuaries as well as one of the best waterfalls in India named as Dudhsagar falls it’s just a short drive away. There are many tour operators in Delhi and in India. Which has tie up with this particular property. 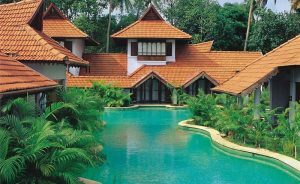 Kumarakom Lake Resort, Kerala, On 25 acres area of coconut groves, this high-end resort comprises villas set along a winding pool, just off the SH42 and 3 km from Kumarakom Bird holy place. 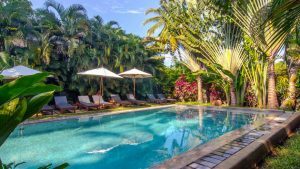 The colonial-style rooms and villas have a suite bathrooms with Jacuzzis, as well as flat-screens, Wi-Fi (fee) and minibars. Some have direct pool access and some have private outdoor pools and hot tubs. In Houseboats 24/7 room service are available. A resort fee covers a breakfast buffet, boat cruises, live entertainment, a gym and parking. There are two restaurants, a cafe, and a poolside bar, as well as an ayurvedic spa and a business centre. There are many activities for the kids as well. Taj Umaid Bhawan Palace was ranked as the ‘Best Hotel in the World’, the ‘Best Hotel in Asia’ and the ‘Best Hotel in India’ at the TripAdvisor Travellers’ Choice Awards 2016. Taj Umaid Bhawan Palace was built at the period time between 1928 and 1943, Umaid Bhawan Palace is a magnificent piece of Rajasthan’s heritage, and it’s a symbol of new Jodhpur. Home of the late Jodhpur royal family and world’s sixth-largest private residence, the palace and Taj Mahal at Agra has one thing common, the palm court marble used in both heritage places. The property houses a family museum, as well as the magnificent Umaid Bhawan Palace. Surrounded by 26 acres of lush gardens, with dancing peacocks and a subterranean Zodiac Pool, the luxury five-star Taj heritage hotel offers 64 extremely breathtaking Art Deco- style rooms and suites. Taj Rambagh Palace, Jaipur, covers the royal history of Rajasthan at Rambagh Palace, once the residence of the Maharaja of Jaipur. 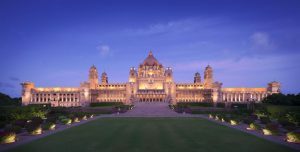 The palace retains its elaborate extravagantly decorated with hand-carved marble ‘jalis’ or latticework, sandstone balustrades, and Mughal Gardens. Within this most glorious of palaces showcasing the best of Rajasthan’s royal heritage, you also experience the best fine-dining restaurants in Jaipur. It was constructed in 1835; Rambagh Palace has stepped gracefully through many royal evolutions — from the home of the queen’s favourite handmaiden, to royal guesthouse and hunting lodge. Today, The Taj Rambagh palace crown offers 78 stunningly restored grand luxury rooms and suites which were the chambers of the former Maharaja. Over the years, it has played loving host to several big league guests, such as Lord Louis Mountbatten, Prince Charles and Jacqueline Kennedy. We invite you to experience, like they have the finest traditions of Rajput hospitality. Orange County, Kabini. Situated on the banks of the River Kabani, this luxurious collection of lodges set in a nature reserve is on the edge of the Nagarhole7 National Park. The charming eco-chic huts have separate living areas, TVs, mini fridge, tea and coffee maker, and air-conditioner. Some have outdoor Jacuzzis; the others have plunge pools. Freebies include parking, breakfast, lunch and dinner. There are fine dining and grill restaurants, plus a bar and a coffee lounge with. Additional amenities include an Ayurvedic spa, a fitness centre and an infinity pool. 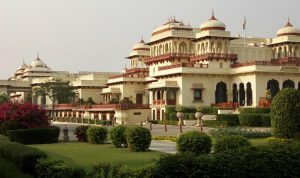 This palace promoting the tradition of grand soirees and formal levees which were hosted here by the royal family of Udaipur. Meetings and Incentives at Taj Lake Palace are like nowhere else in the world. Where else can you meet at a palace in the middle of a lake and its all surrounded by the lake,It is the ideal venue for fairytale weddings and magical honeymoons. 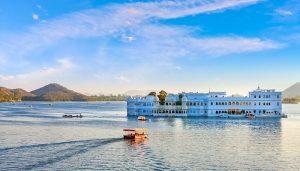 Known as the Venice of the East, the city of Udaipur, with its extravagant palaces, serene lakes, exotic temples and resplendent gardens, has a lot to offer. Our concierge would be happy to help you in making arrangements, and plan a special tour of the Udaipur city in one of our vintage cars. Next Post Why India is Incredible!